This month we were chosen as guest Asobi Ambassadors, amazing! 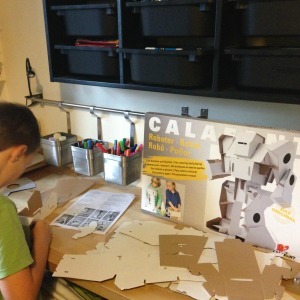 My children LOVE getting crafty, so when the Calafant Robot turned up, their ideas were already in full swing. Building it looked daunting, well to me anyway, but my 11 year old got stuck in and loved it! Within about 20 minutes we had this…. But building it is only the start of the fun, you then get to create your very own masterpiece. Your imagination can run wild, with the material being rigid you can paint it without it going floppy. Although it might be cardboard, it’s so solid and even the arms are pose-able! I love how children really can create their own masterpiece, on something that they can play with and keep. 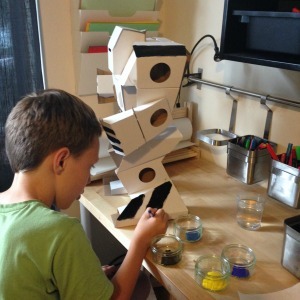 My son is loving his robot, and still a few weeks later he loves it and it is pride of place on his desk. A massive thumbs up from me, I will be buying more from the Calafant range! There is a whole host of items available, from doll houses to pirate ships, something for every creative person. If you fancy buying something from the Calafant range, Kind Toys are offering 20% off all Calafant items through the whole of September, just use the code CALAFANT at the checkout. 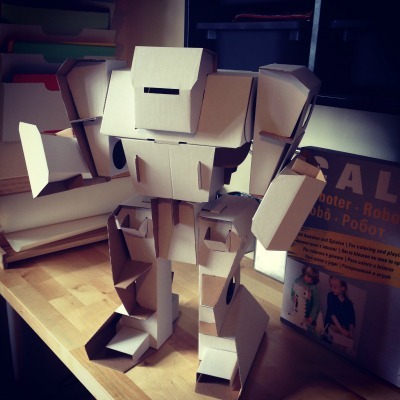 Here is your chance to get your very own Calafant Robot! Simply enter the giveaway using the rafflecopter widget below! Oh and check out the list below for all the other Calafant reviews from the other Asobi Ambassadors! My daughter she would love this. my 2 yar old would love to build this with me! My nephew, he would love this! This would be for my nephew (though I think his dad might try and steal it so he can make it himself!). My 7 year old nephew. I would love to win this for my 8yr old boy Jacob, he would love it!! My daughter would love this, it looks great fun. 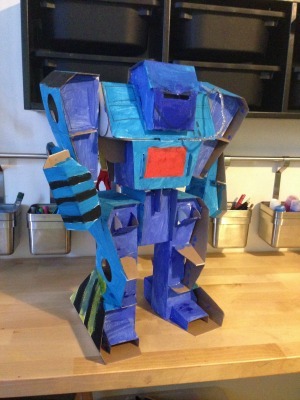 I have a craft room and have lots of quirky makes and figures, would love to find a spot for this robot, love the blue colours on yours!